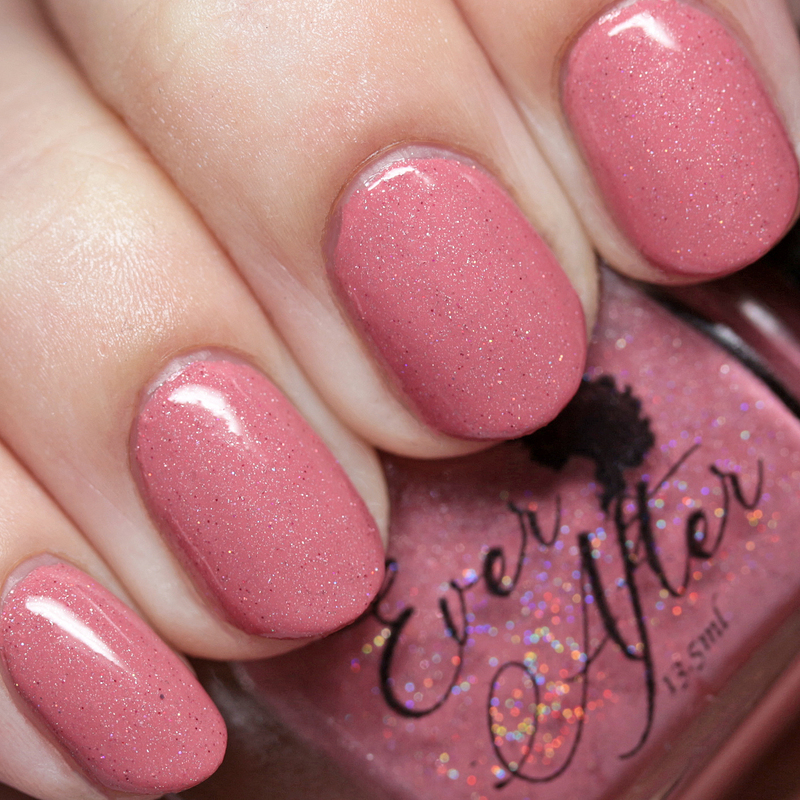 Ever After Polish Tightrope is a dusty rose with red and silver holo microglitter. 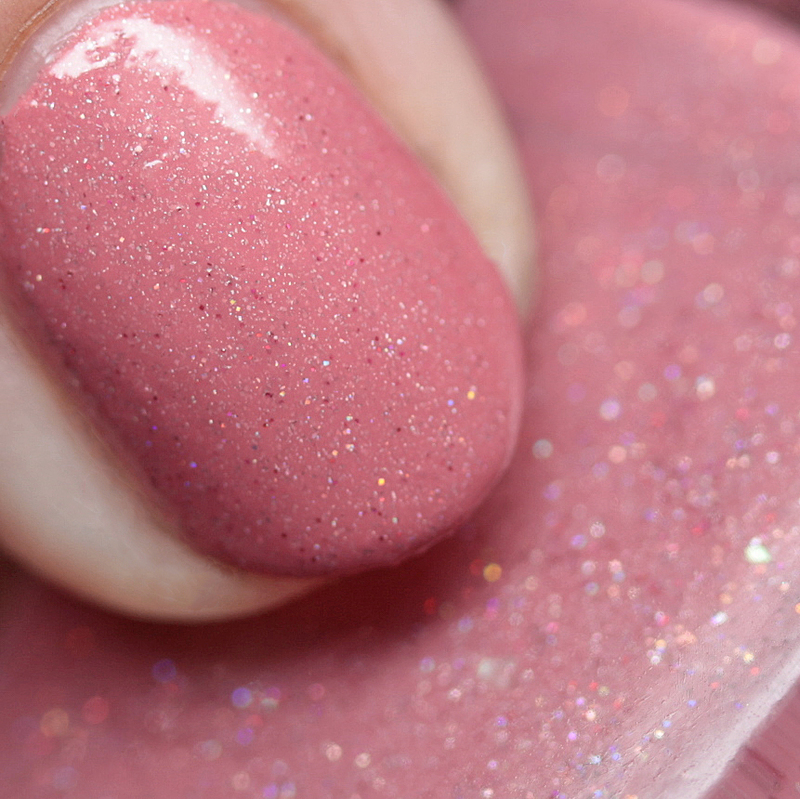 It is quite opaque, covering in two thin coats, but that does not impact the sparkle of the glitter. It needs a single layer of top coat to smooth and dries fast. Sadly, this will be the first Polish Con I will miss due to a whole lot of business at work, but it is an amazing time and be sure to check it out if you can. It will be on Saturday, June 16, at the Crowne Plaza Hotel in White Plains, New York. 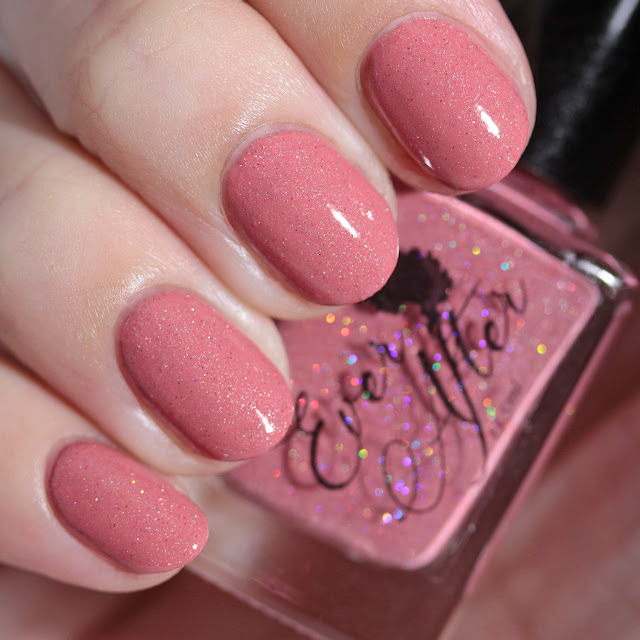 Stay tuned for a lot more upcoming releases and Polish Con special releases on the blog this week!